When people find out that I review televisions for a living, three things invariably happen. First, you get a look of amazement that such a ‘cushy’ job even exists. Actually there are. So in this ‘Secrets of a TV reviewer’ article we’re going to give you an insight into exactly what a TV reviewer gets up to. At the very least, it should help you make more informed TV buying decisions in the future. The first thing that I do when I get a TV in for review is have a good look at it. Is it attractive? Is it well built or does it look cheap and plasticky? 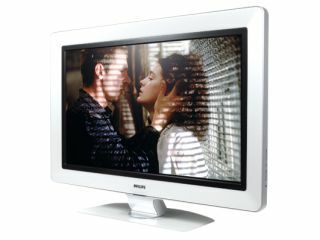 Is the TV compact or unnecessarily large? All that probably matters for most people, though, is whether a TV suits your décor and fits into whatever space you’ve got for it. Where things get more serious is when considering a TV’s connectivity options. The key things I look for here, given that we’re now living in an High Definition age, are HDMIs. Basically the more HDMI ports a TV has, the better. Two should be considered a bare minimum on a main TV. In terms of other connections on a TV, you probably already know that not all connections are equal in terms of picture quality. But you may not realise how great the differences are. Here - from best to worst - is how the connections hierarchy stacks up: HDMI/DVI, component video, VGA PC inputs, Scarts (provided you use their RGB capabilities), S-Video and finally composite video, which should frankly be avoided at all costs. Next I check out how easy a TV is to use, paying attention to the size and layout of the remote control buttons. How sluggishly do the onscreen menus respond to the remote? How well organised and easy to navigate are the onscreen menus? After this it’s feature hunt time. And it may surprise you that I don’t really worry too much about core TV specifications such as resolution, a manufacturer's claimed contrast ratio and claimed brightness rating. In terms of resolution, it's useful to know whether a screen is a 1366 x 768 720p HD Ready panel or a 1920 x 1080 full HD one. But quoted brightness and contrast ratio figures are so notoriously unreliable these days that they’re generally best ignored. Of considerably more interest is a TV’s picture processing engine. Most TVs have one – Philips TVs use Perfect Pixel HD, JVC has Dynapix HD, Sony has its Bravia Engine, and so on. But they’re certainly not all equal in terms of the effect that they have onscreen. So it’s worth trying to get to the bottom of exactly what each does. Particularly key at the moment are processing elements like 100Hz in LCD TVs. 100Hz technology doubles the refresh rate in an attempt to smooth out and minimise motion judder. I also look now for TVs that take 1080p signals of the sort carried by Blu-ray and HD DVD, especially the purest 1080p/24fps format. If a TV has a special 24fps-friendly running mode, such as 48 or 72Hz, all the better. Finally, there’s picture quality. To assess this, I first ensure that I’ve optimised the TV’s picture settings, moving them away from the doubtless horrendous factory presets the TV has shipped with. To help me achieve this I use the excellent (once you’ve learned to navigate past all the tedious introductory rubbish) Digital Video Essentials disc. This boasts a series of invaluable test signals for optimising a TV’s contrast, brightness, colour and so on. Next comes the actual testing, which you can read about in part 2.